The Department of Justice is sending 35 more prosecutors and 18 immigration judges to quickly process illegal immigrants and asylum claims at the border, Attorney General Jeff Sessions said Wednesday. We treat people extremely well, particularly children … We have a generous legal immigration system. We admit 1.1 million people lawfully every year. Four million Americans turn 18 every year. The extra prosecutors can increase the number of prosecutions of people who try to sneak into the country illegally. The first 11 of those prosecutions was announced Tuesday for caravan migrants who allegedly tried to dodge the immigration process, becoming illegal aliens. 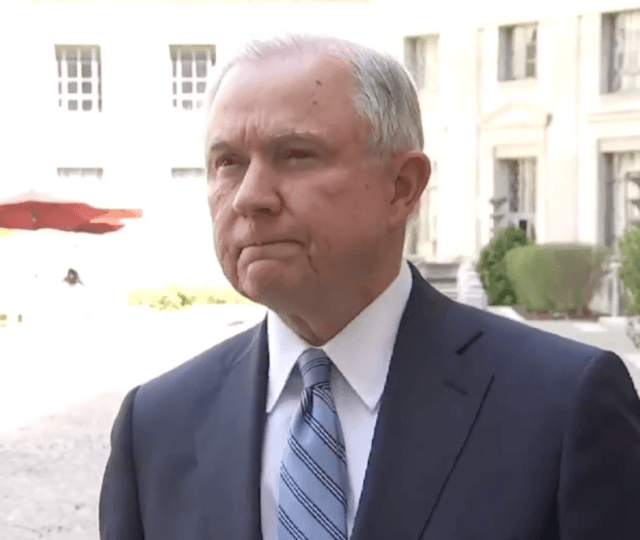 The 18 new immigration judges, whom are being reassigned from supervisory roles at the Executive Office of Immigration Review (EOIR), will provide a 50 percent increase in the department’s ability to process asylum claims, Sessions said. The move comes in addition to the reassignment of about 100 regular immigration judges to temporary “details” on the border to handle new apprehensions last year. Currently, border officers are forced into “catch and release” practices because the huge number of migrants with children overwhelms their ability to process and deny asylum requests within the 20-day deadline required by the 1997 Flores court settlement. But with the extra judges, migrants claims’ can be carefully processed by the 20-day deadline, allowing many to be processed, rejected and sent home before they have to be released into the United States for an eventual asylum plea in a courtroom. The statement was made as border officials begin processing claims by roughly 250 migrants who are part of a “caravan” from Honduras. While none are known to be presenting themselves as part of a persecuted religious, political, or ethnic minority – the type of asylum claimants for whom our asylum laws were written – they are thought to be basing their claims on the ordinary criminal activity in their whom country. Some polls show widespread support for denying these caravan migrants entry, they may be able to pass the threshold of a plausible claim and remain in the United States while their cases shift through the massive immigration court backlog.